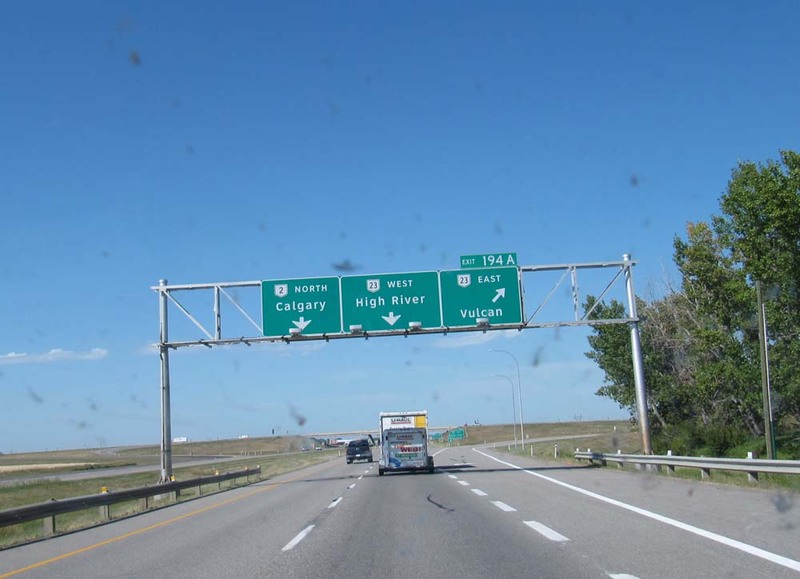 Yes, Star Trek fans, there is a town of Vulcan in Alberta. This story is for you, Sheila: Today I was at the U-Haul dealer, dropping off the truck and trailer. There was a family there, helping a friend load up her truck. Two little boys, about 7 and 8, were running around and I asked them if they were fans of the Calgary Flames. One boy replied that he didn't like hockey, but if had to cheer for a team it would be the Edmonton Oilers because that's the team his cousin was on. His cousin is Jordan Eberle. Oh, and the lady that was getting her stuff loaded on a truck was from Elizabeth, Colorado. Small world. Tomorrow, Sunday, is my day of rest. The first one I've had in months. I plan to enjoy it. I hope that you do too. I plan to knit for the first time in about a week and I plan to savor every minute of it..
Best of luck in your new home. Enjoy your well-deserved day of rest!